Exterior of the Solomon R. Guggenheim Museum in New York. Traveling to see art is one of my greatest pleasures! Whether it’s hunting for Connie Ernatt’s Troll by the river, or jet setting to a far-flung part of the earth, nothing replaces the joy of going and seeing art. The magic of seeing the real thing can never be replaced. Digital images surround us with artwork all the time – in advertisements, on coffee mugs, calendars, mouse pads, you name it. It’s hard not to think of something the Leonardo’s Mona Lisa or Vincent van Gogh’s Starry Night hasn’t been slapped on. But seeing these famous works in person is a much different experience. Even though we are well familiar with images, the surprisingly small Mona Lisa still captivates audiences with her coy gaze. She always seems to be surrounded by a mob of picture-taking tourists at the Louvre. Starry Night hangs in the Museum of Modern Art in New York and the oil paint is laid on so thick that it looks like it was painted yesterday. And it’s not just the art that I go for. It’s the architecture too, like Louis Kahn’s Kimbell Art Museum in Ft. Worth. It is an absolutely sublime space with its handsome barrel vaulted ceiling, and one of my all-time favorite museums. 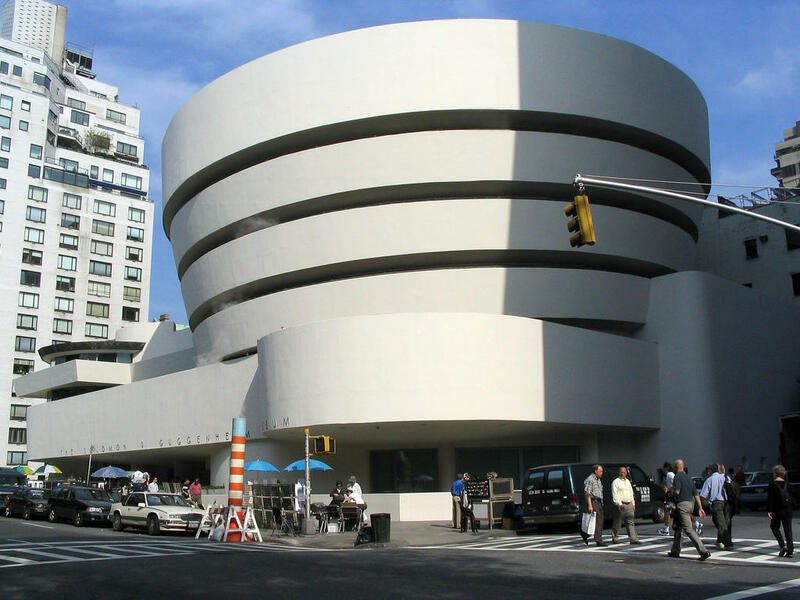 Frank Lloyd Wright’s spiraling Guggenheim Museum makes me feel like Pac Man as walk through the ever-ascending gallery, making each painting a power pellet. Some debate whether it’s the art or the architecture that should bring visitors in. I say, “Who cares – just go!” It’s time to take an art adventure! How Do We Look At Art When We Look At Art? When was the last time you saw an art show? I mean really saw. The Wichita Art Museum opened its fall exhibition, American Moderns 1910 – 1960: From Georgia O’Keeffe to Norman Rockwell. The show features 57 artworks from the Brooklyn Museum of Art, a museum with a renowned American Art collection. I love museums in the summer. What’s better than the beautifully cool environment of a museum when you need a break from the intense heat of the day?